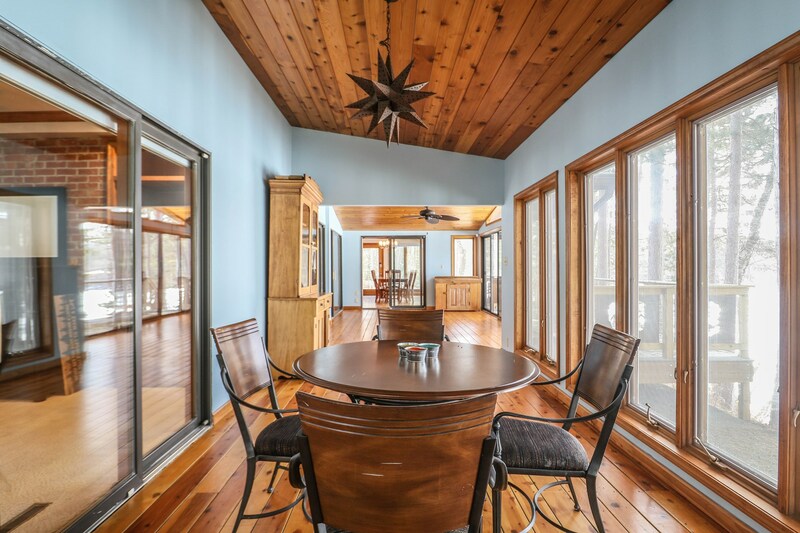 Beautiful Sunset views will be yours in this custom home on Round Lake. 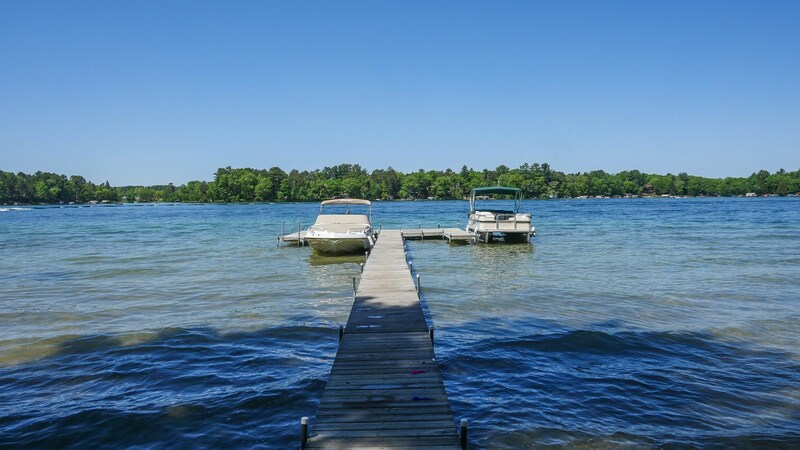 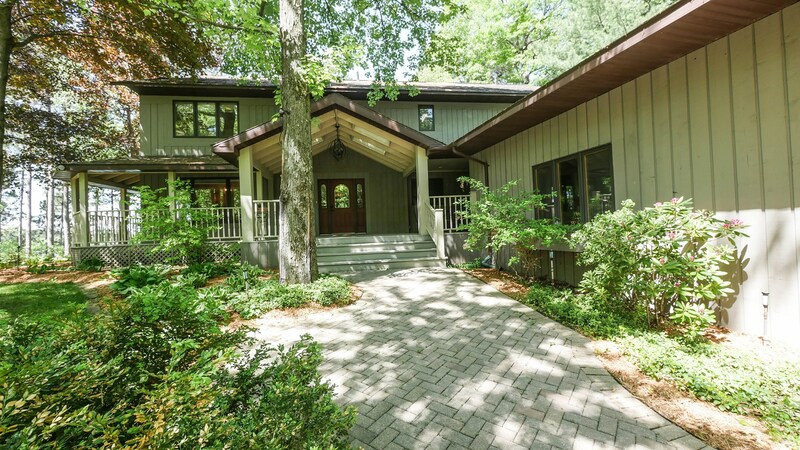 77 feet of firm, sand frontage on Waupaca's Chain O' Lakes can be yours at N2687 Browne Lane. 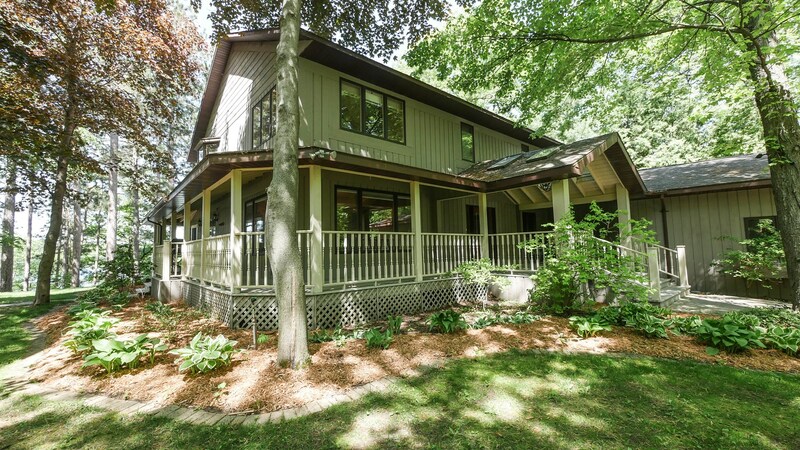 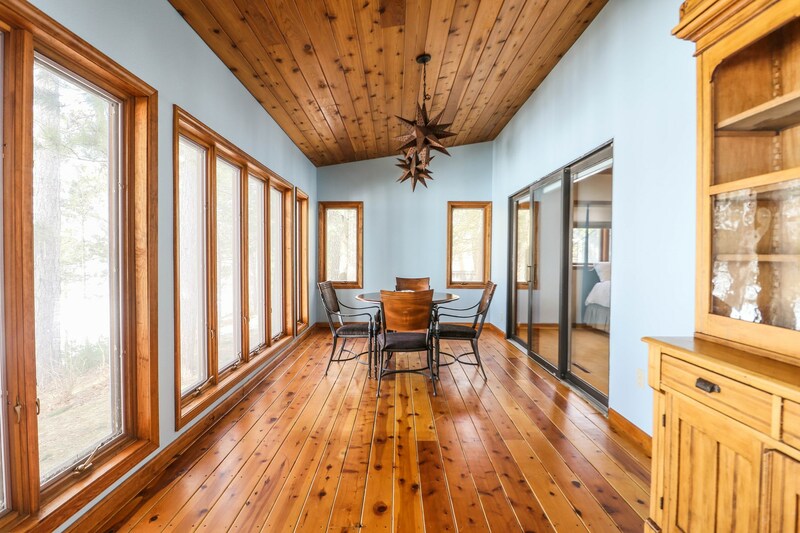 Nestled on quiet, tree lined Browne Lane, you'll find this year round lake home. 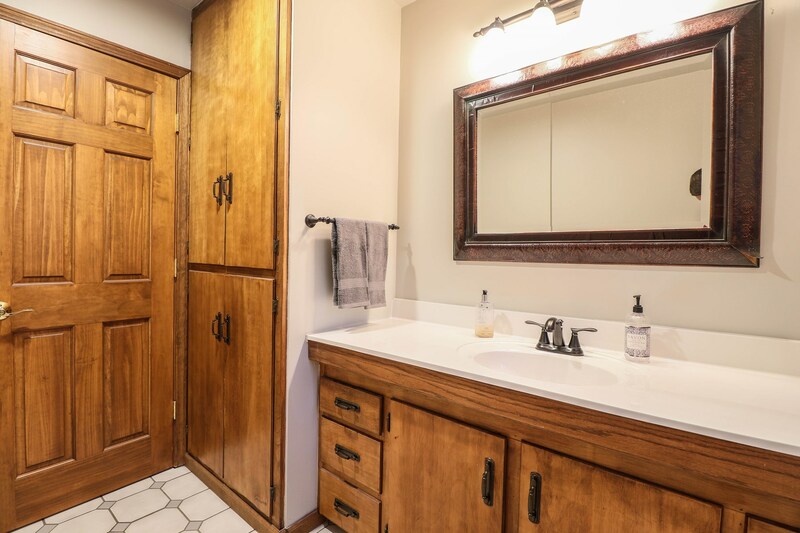 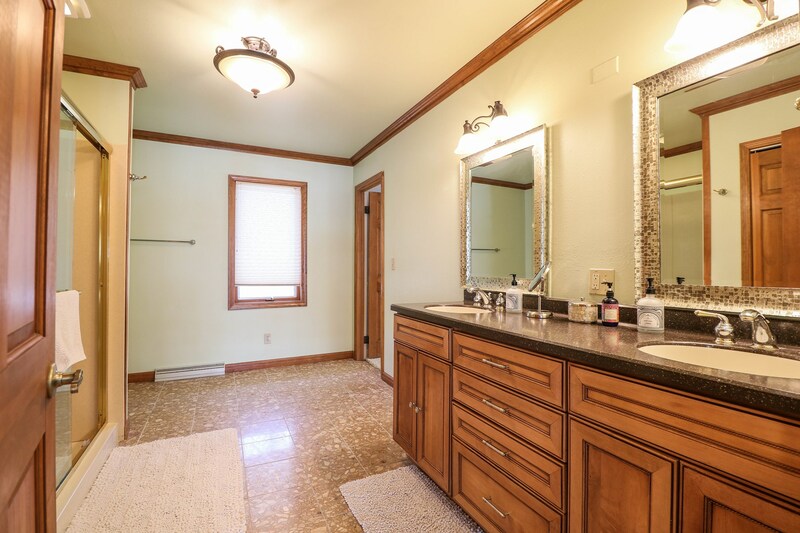 Upgrades galore and fine detail throughout the 4 bedroom, 3.5 bathroom home. 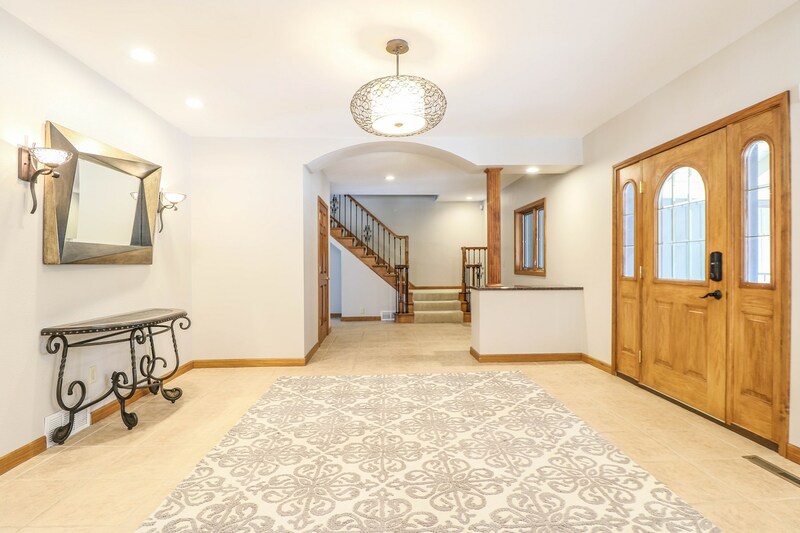 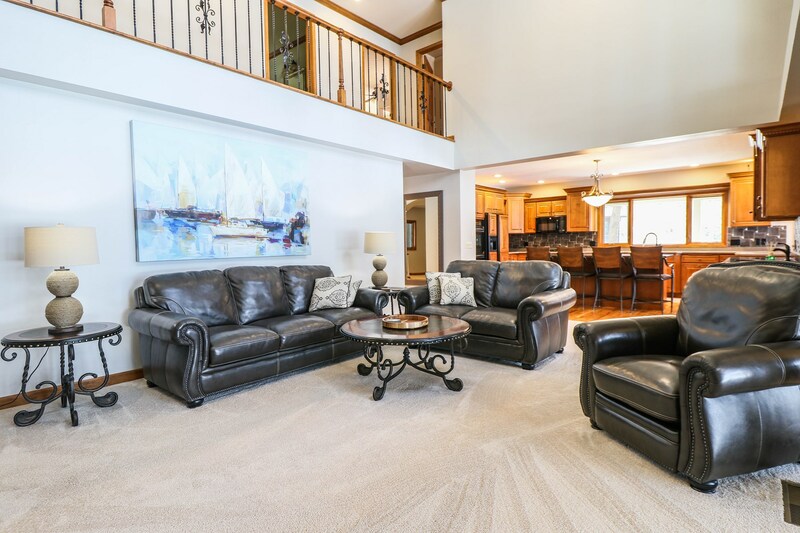 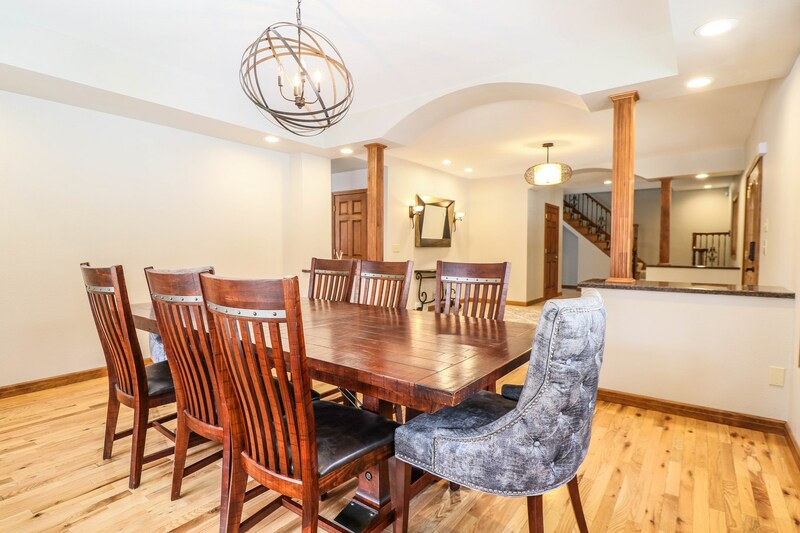 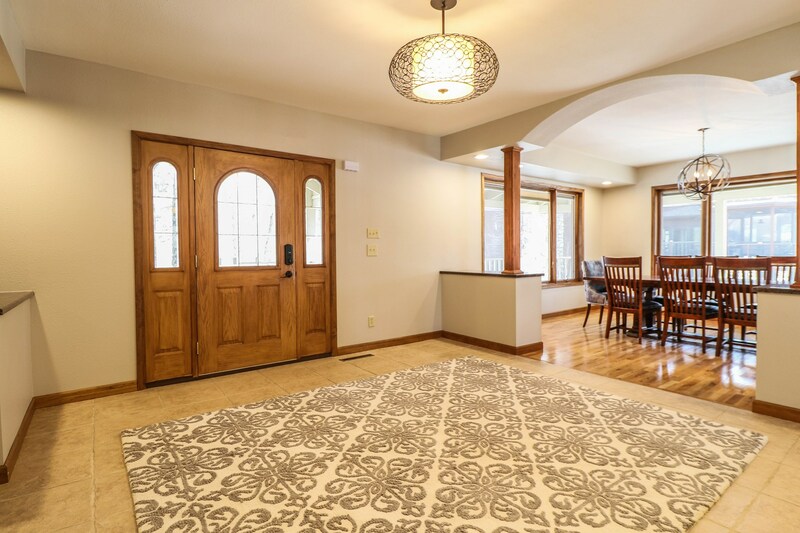 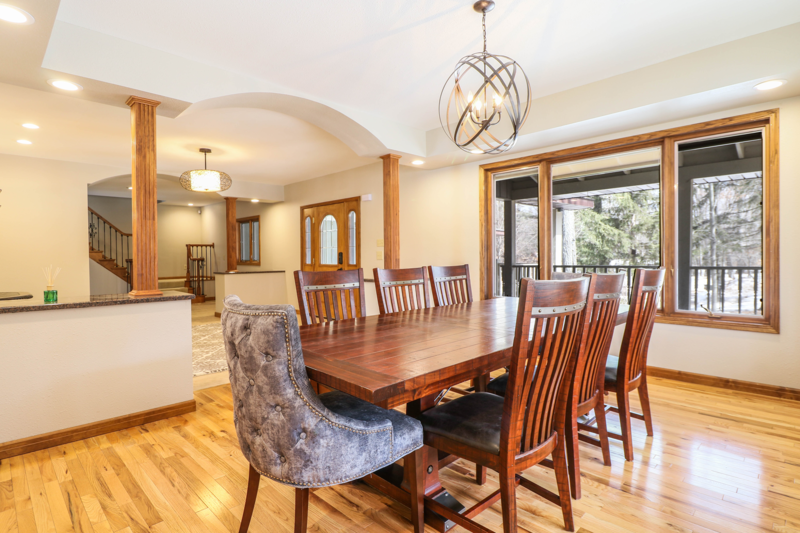 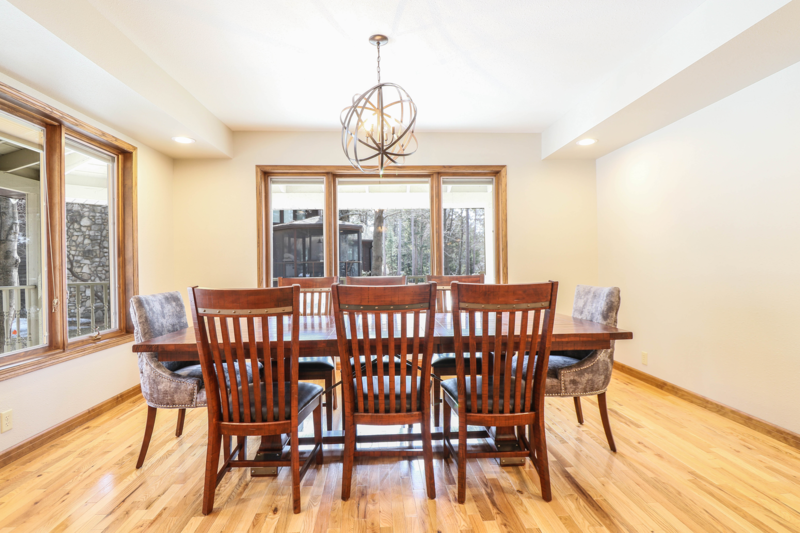 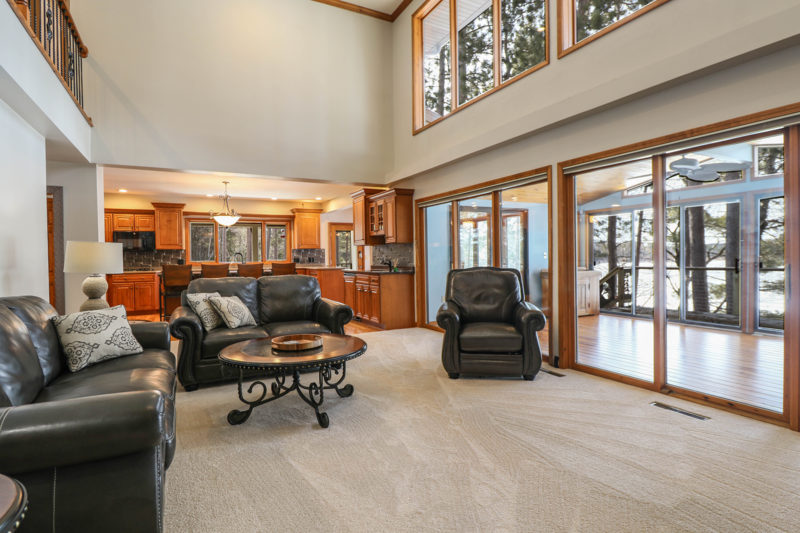 The home welcomes you in through the large foyer and formal dining room to the left. 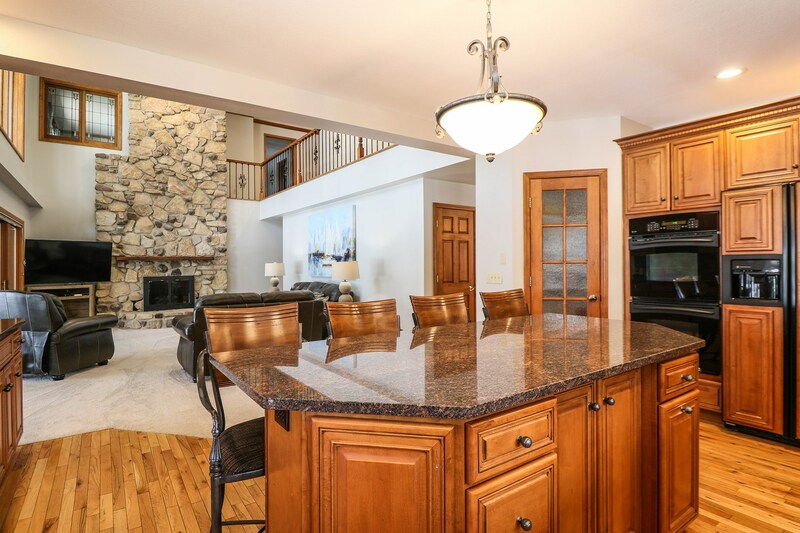 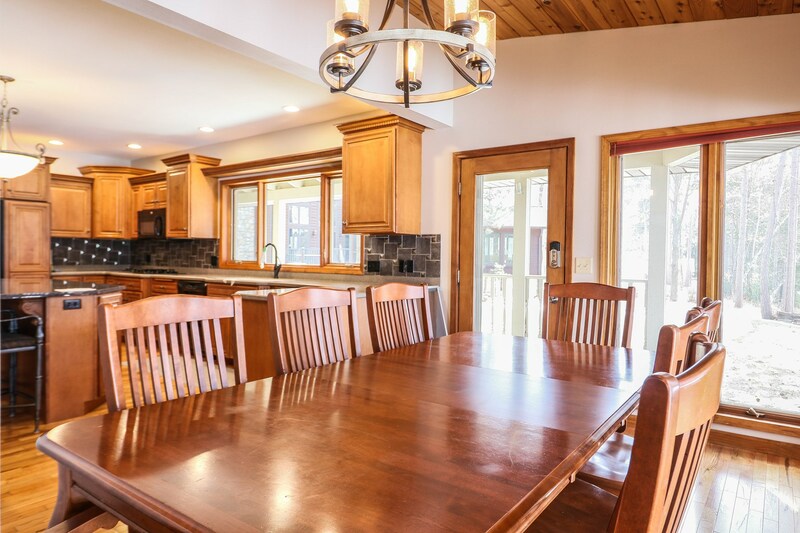 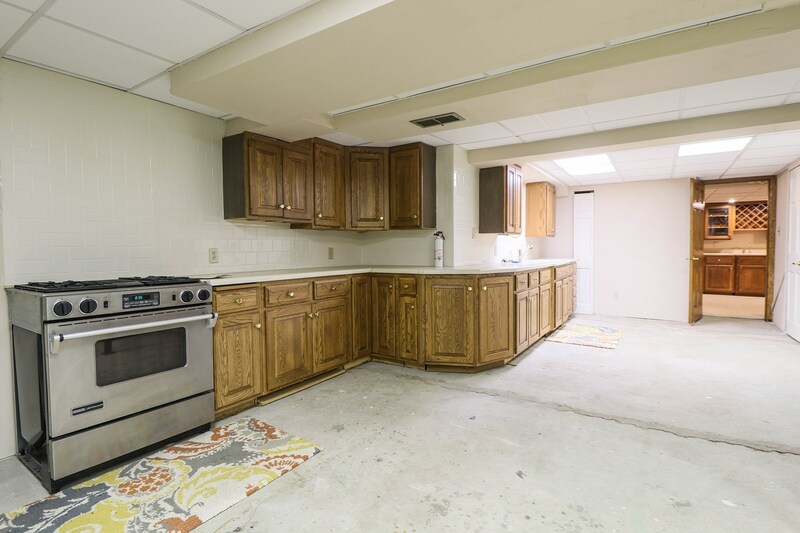 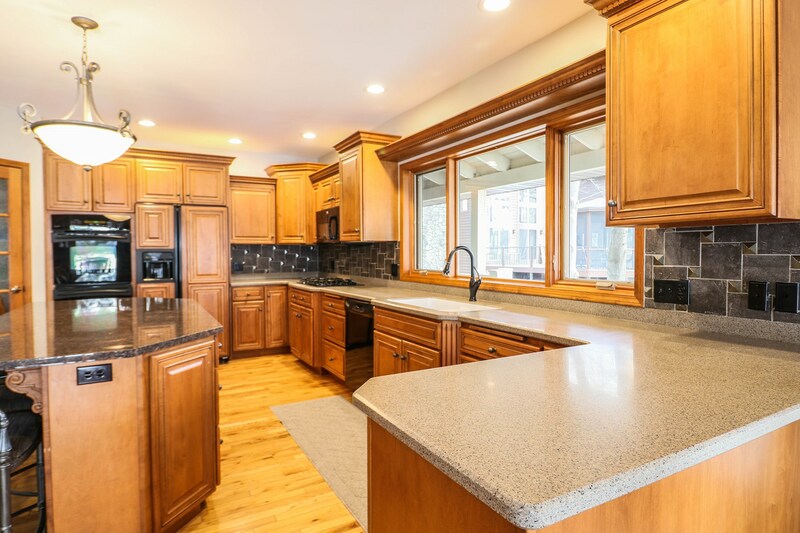 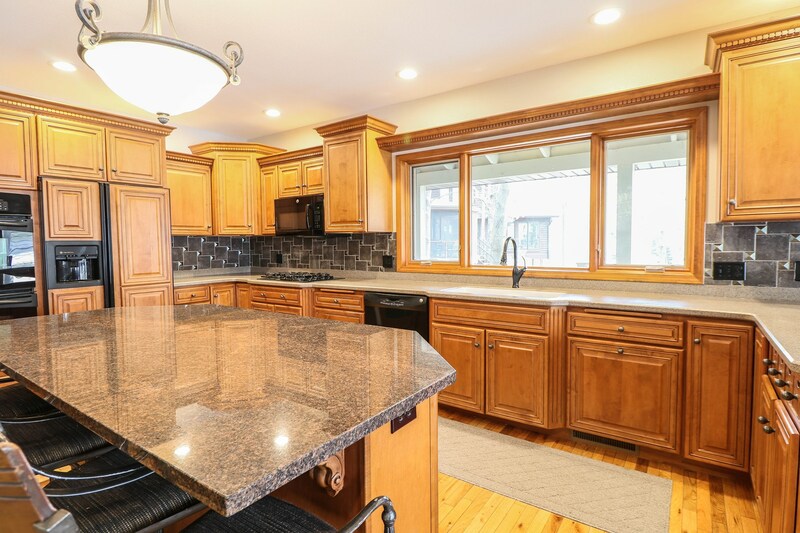 The gourmet kitchen features granite counters, double ovens, wet bar, and breakfast room looking over the lake. 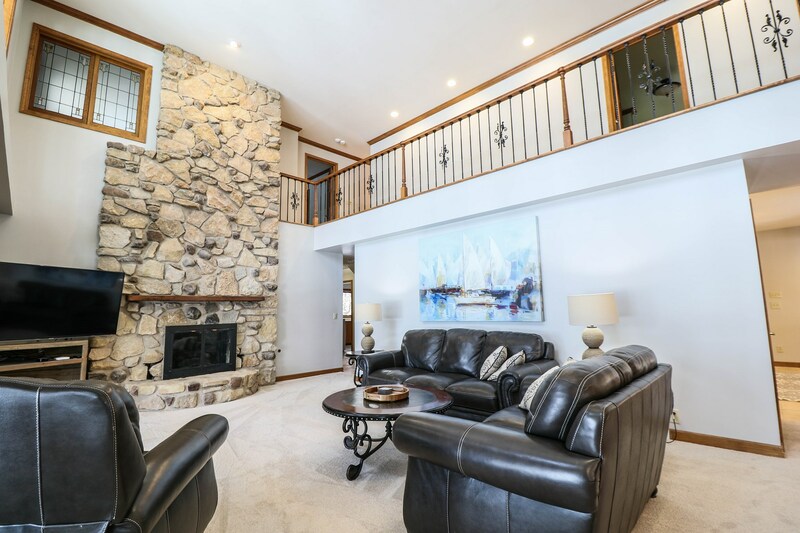 The Great room boasts a soaring 2 story stone fireplace that opens to 3-season room offering panoramic lake views. 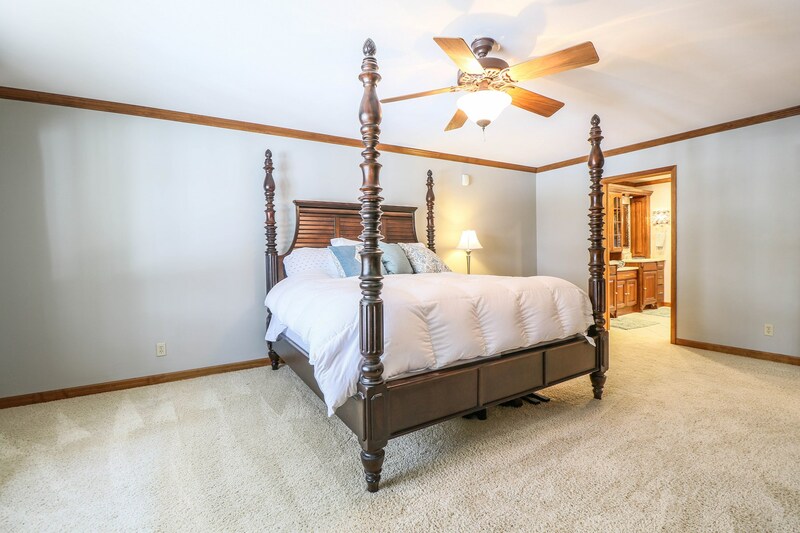 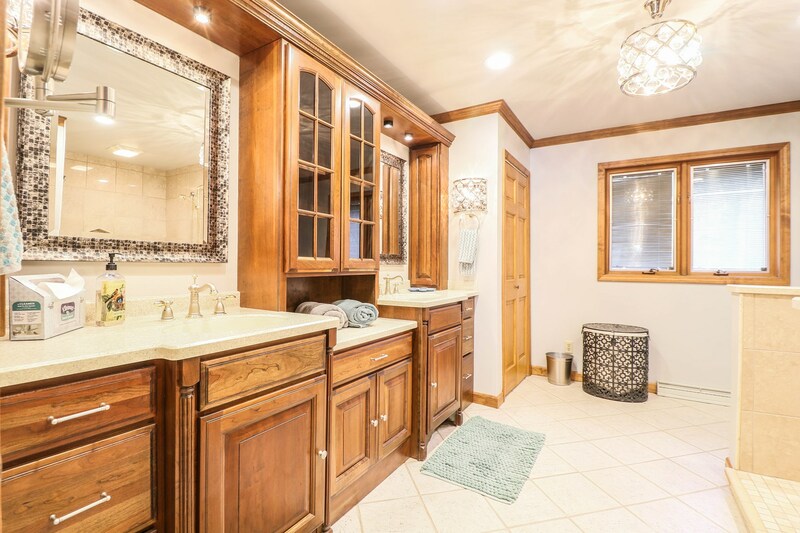 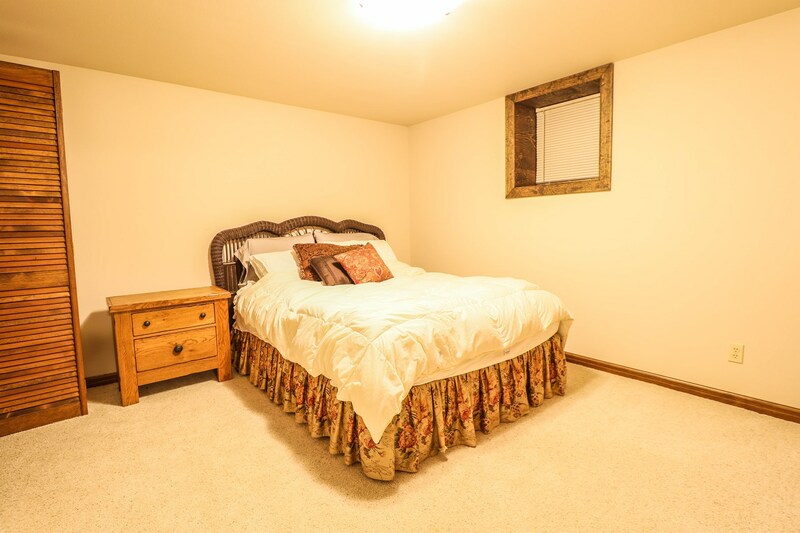 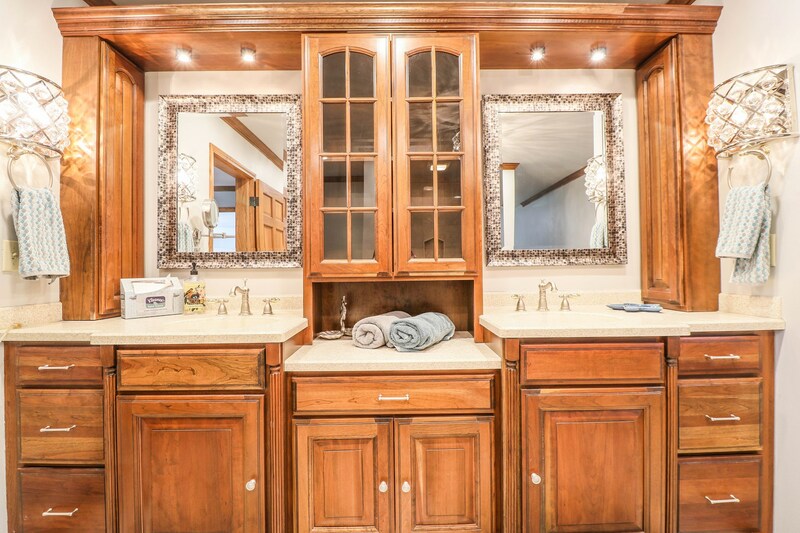 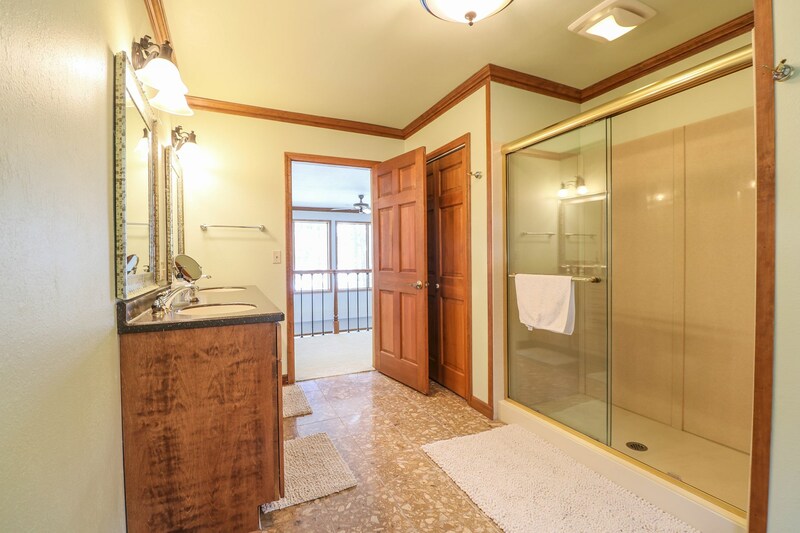 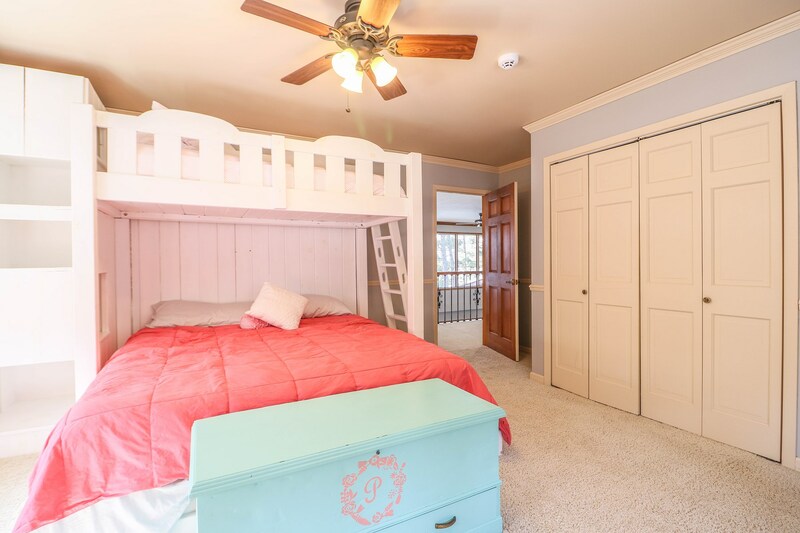 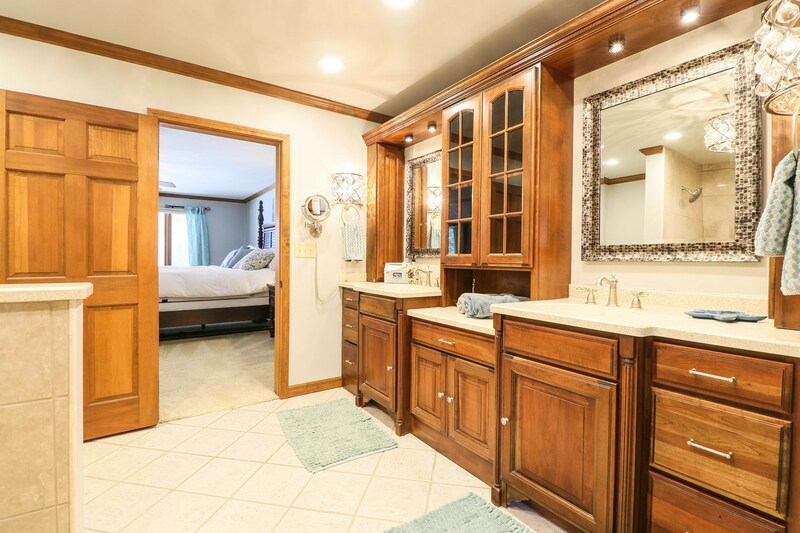 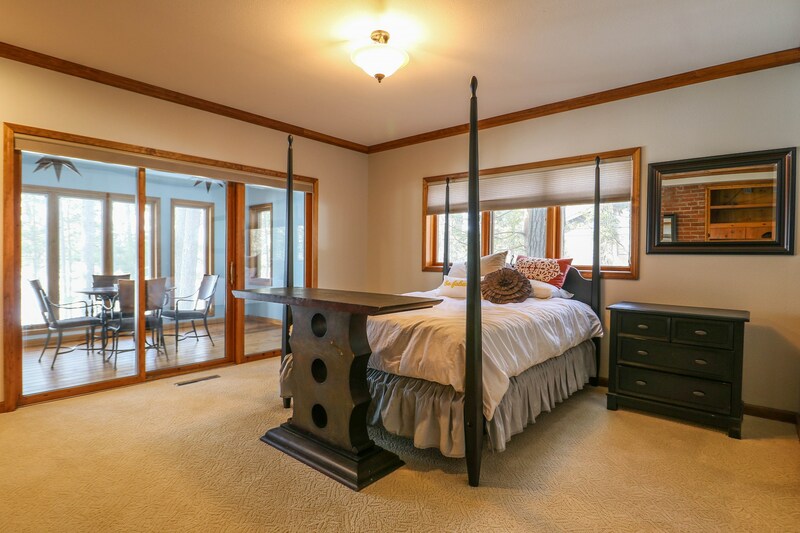 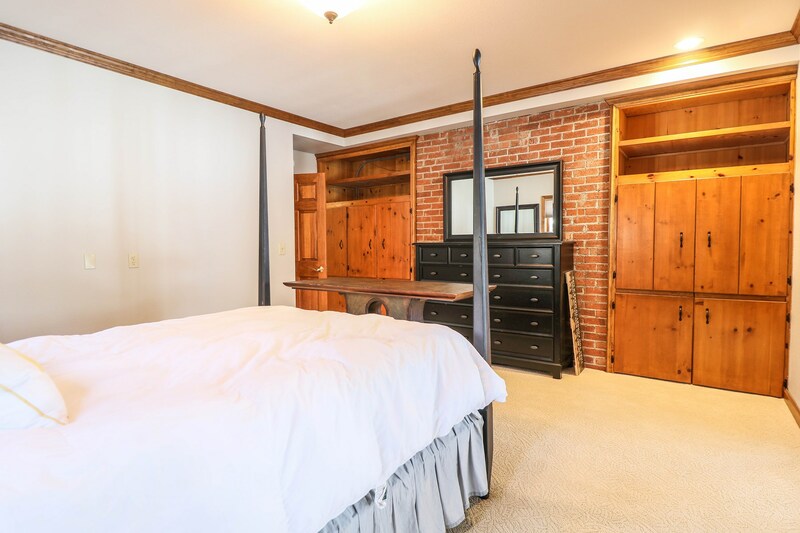 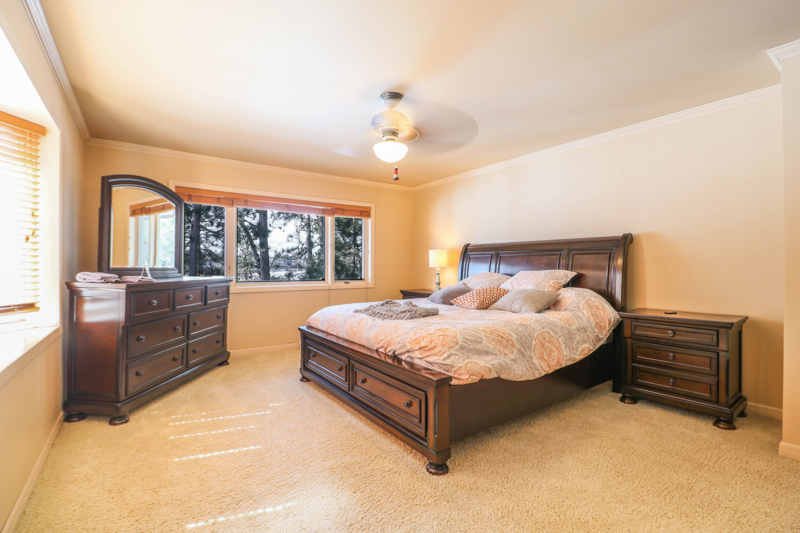 Upstairs provides a huge master suite with spa bath and designer closet and dressing room. 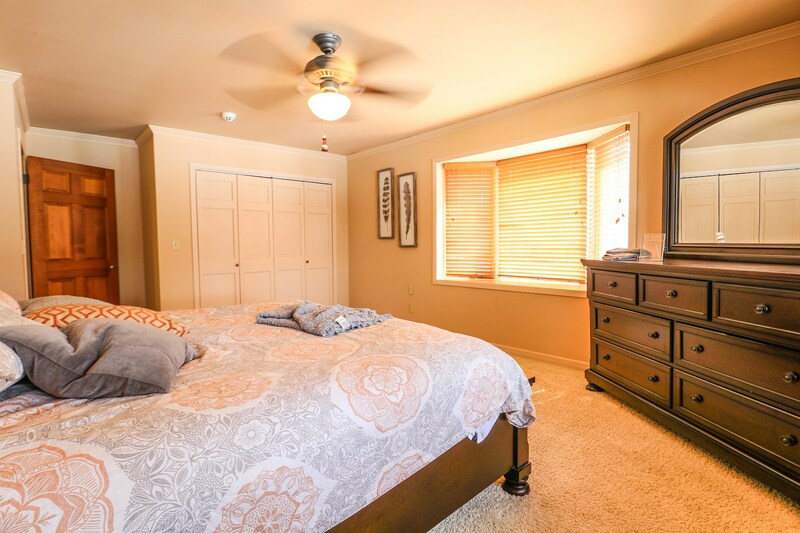 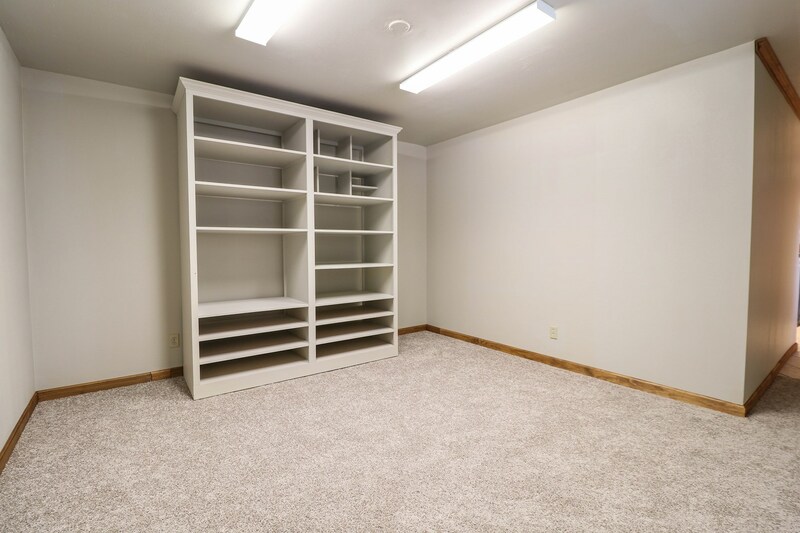 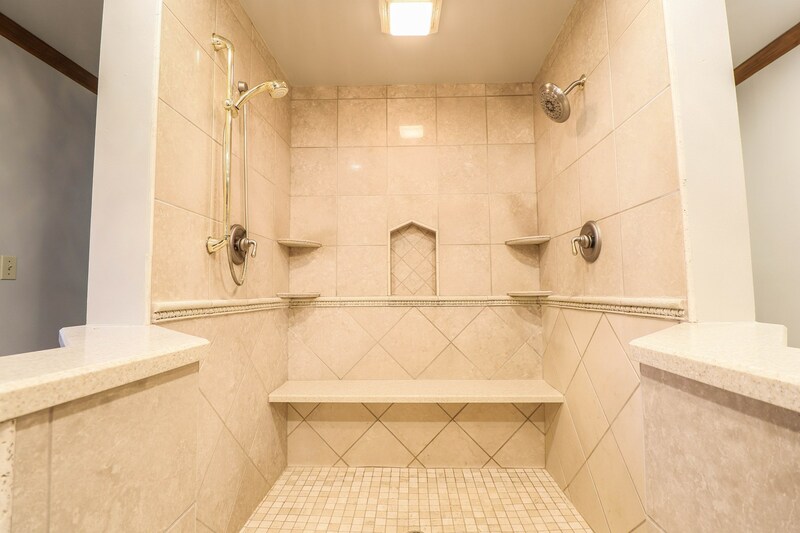 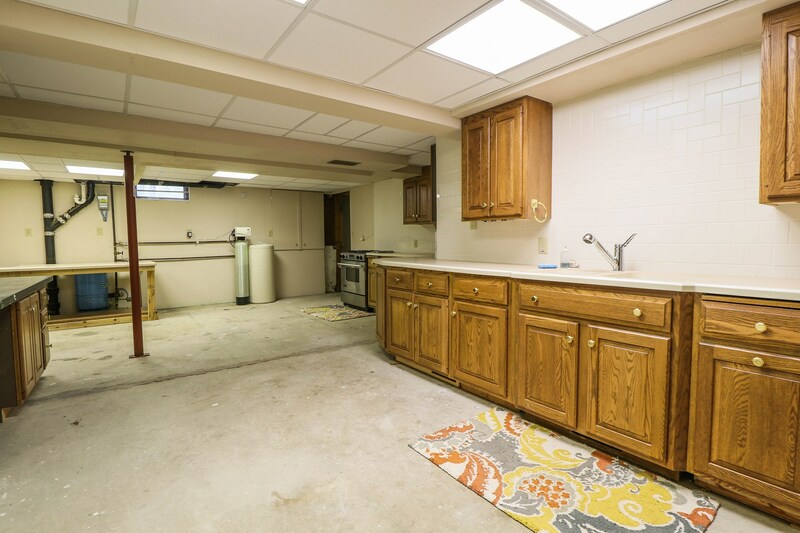 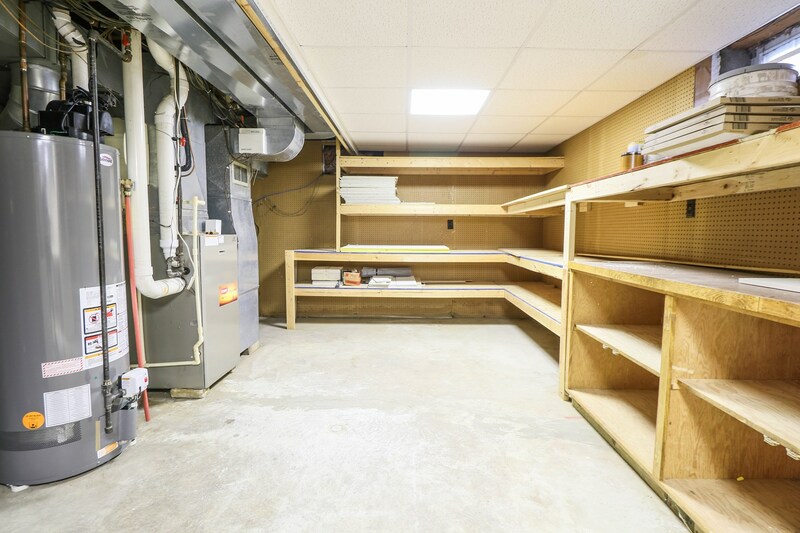 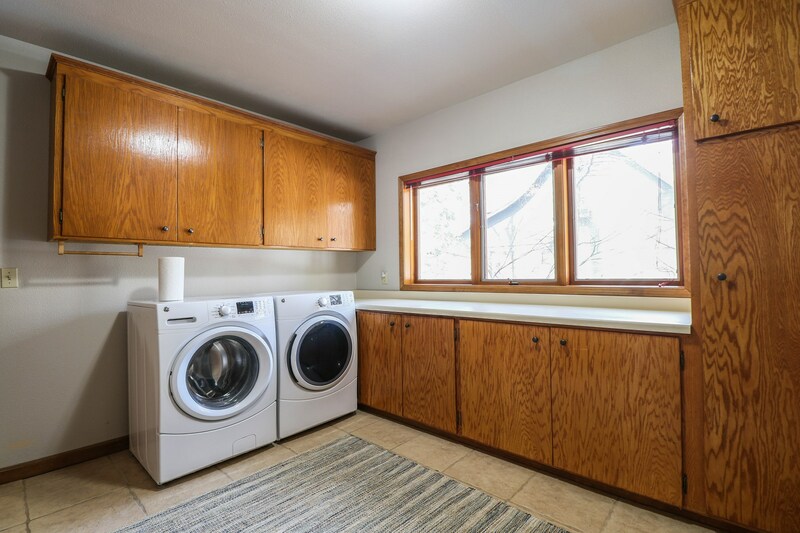 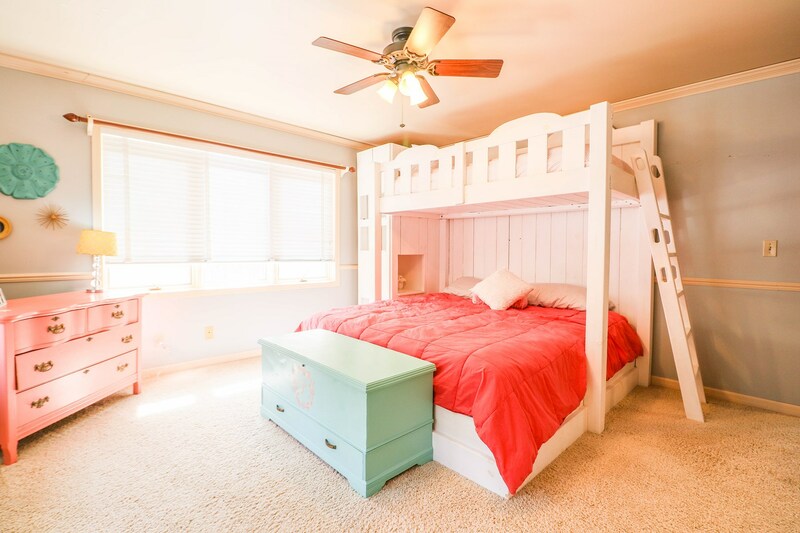 Additionally there are 2 more bedrooms and a full bathroom while the Laundry room and office or bedroom space can be found on the main floor. 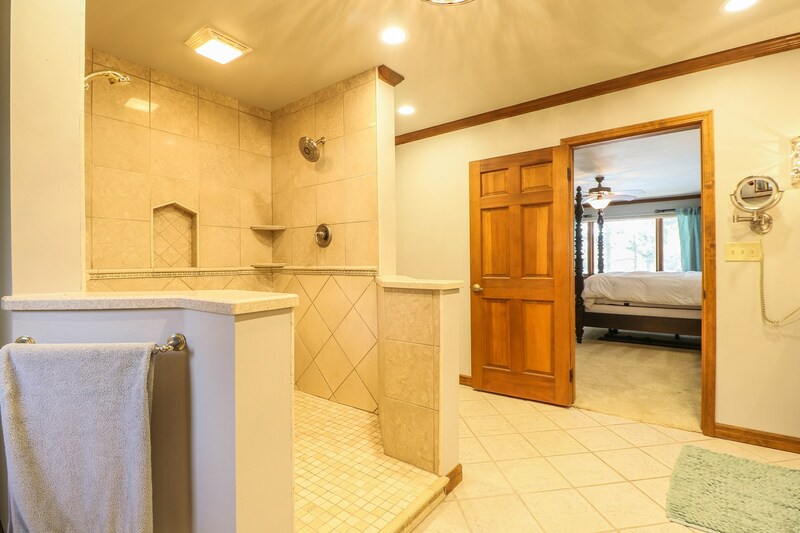 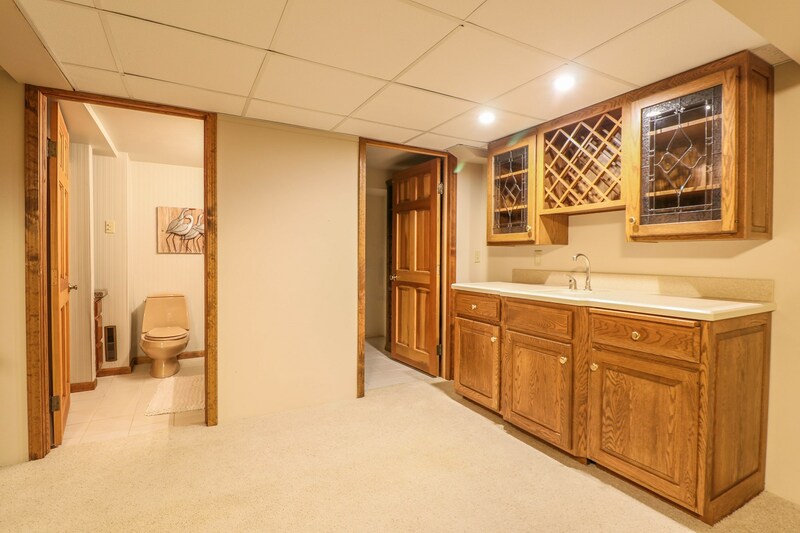 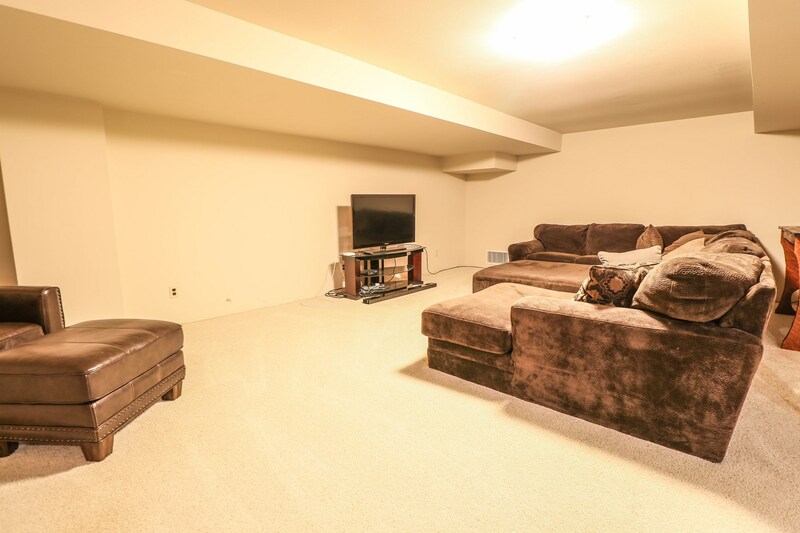 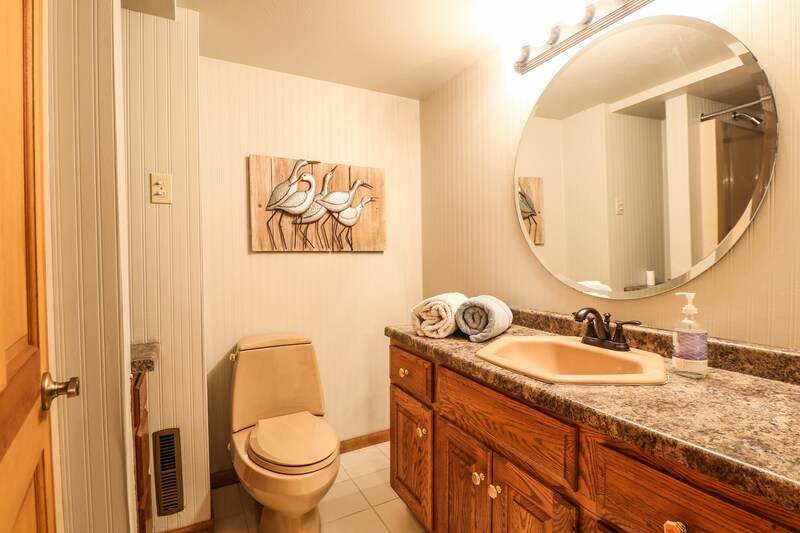 Lower level has a large family room and full bathroom as well. 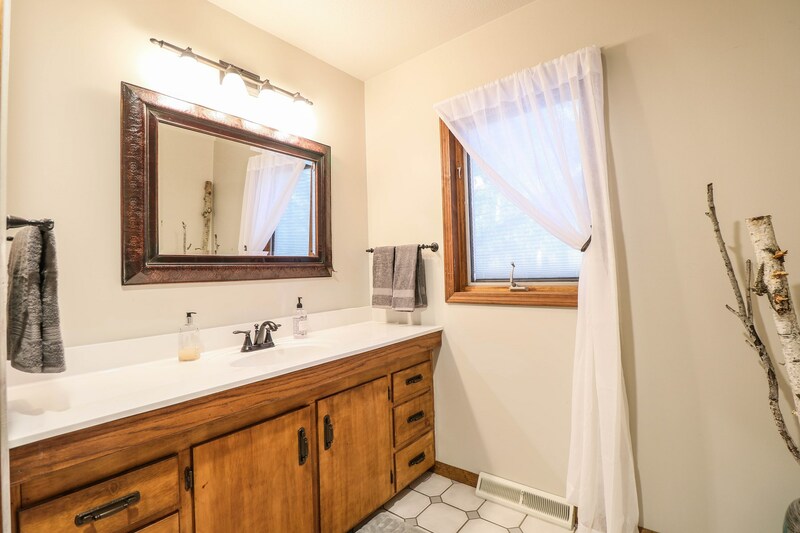 Fresh painting throughout the entire home and updates around every corner. 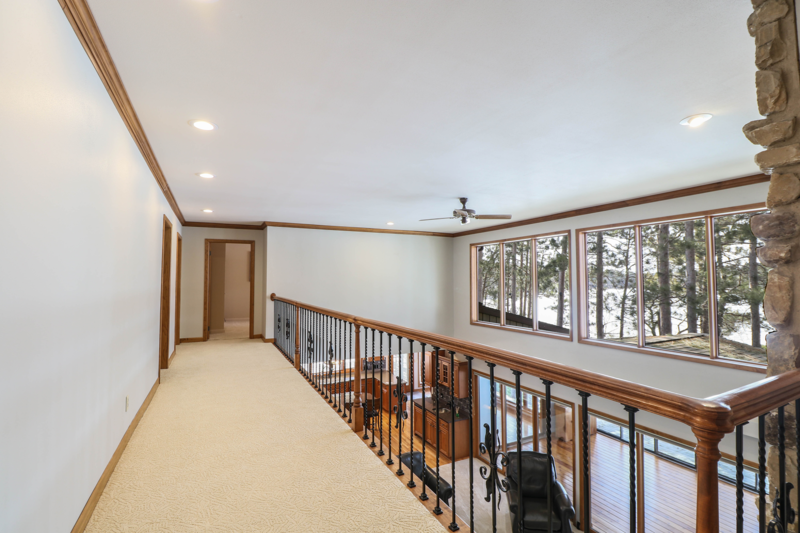 Home features a huge wrap around porch including entryway and deck on the lakeside. 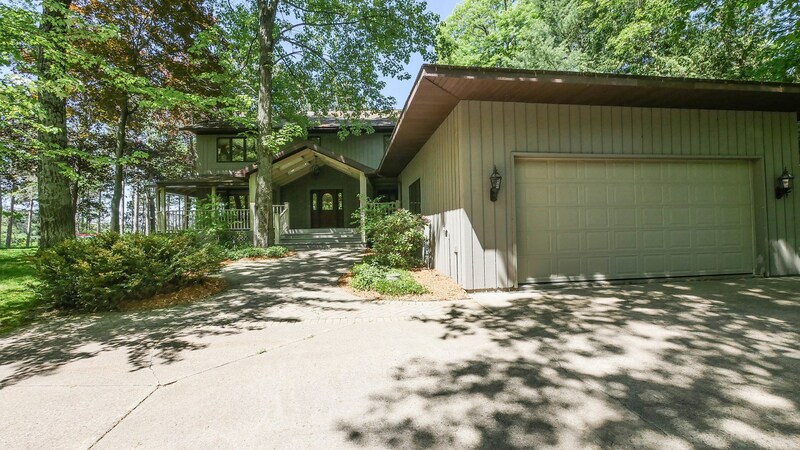 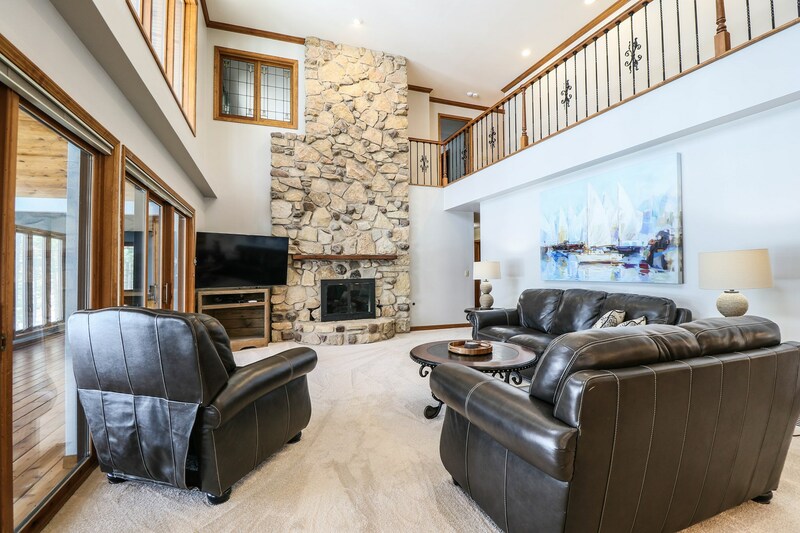 New Boat House with deck at the waters edge make this a complete package and a must see option for Chain O' Lakes living. 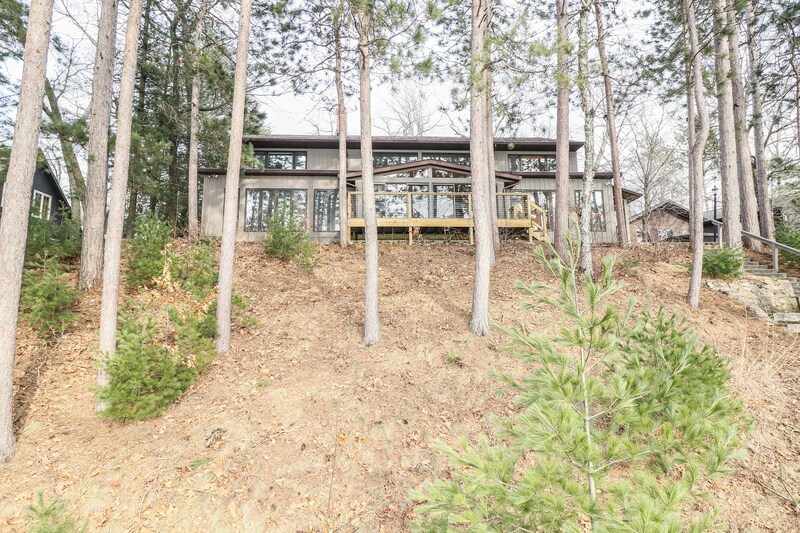 To set up a showing of this great lake home, call Joe Udoni at 715-281-8807.